The 14th of February marks Valentine's Day the world over. Its a chance for all of us to celebrate a whole month of love! Renew your marriage vows, propose to your love or simply book a romantic weekend away together in the tranquility of our 4-star lodge. Don't have a significant other? No problem! We are #petfriendly so bring your feathered or furry friend along with you and share in the magic of the small town Karoo atmosphere of Prince Albert. 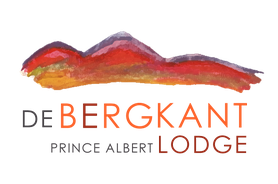 Book your stay here or e-mail us on info@debergkant.com. We look forward to welcoming you!